Over the last few days more price increases have been announced. Mohawk Industries and Shaw Industries have announced price increases of 3-5% on their hard surface products (laminate floors, hardwood floors, and tile products). The Congoleum Corporation announced a 3-6% increase on their entire product line which includes items such as DuraCeramic, DuraStone ,Duraplank and sheet vinyl flooring. 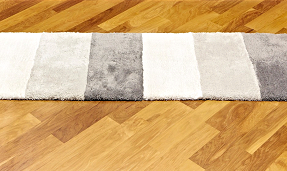 Kraus Carpets has also announced price increases on their entire product line. 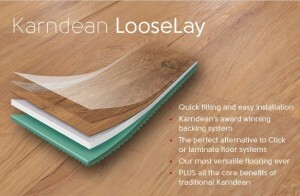 Earlier Quick-Step Laminate (Unilin, owned by Mohawk Industries) also announced a price increase. Beaulieu has announced a price increase on their carpet line. And as I am writing this post, I just received notification from Shaw Industries the price increase will apply to their residential carpet and commercial carpet as well. Mohawk inevitably will follow suit. All of these increases take effect mid July. Keep in mind, we just had all these increases less than 2 months ago. All of this is directly the result of oil prices. I find it very difficult to understand why Congress will not lift the ban on offshore drilling, because it looks like this trend is not going away any time soon. We at American Carpet Wholesalers as well as some of the other reputable online flooring merchants are doing all we can to keep our prices affordable to the consumer. All the while some of the manufacturers are trying to establish minimum adverised pricing. What’s next, minimum selling prices? Rest assured, if we cannot show you our lowest price, we will certainly tell you and you can always call us for that price. You can also be assured that if a manufacturer establishes a minimum selling price, we will no longer offer their products. It is un-American and defeats the spirit of free enterprise.